Ayurveda is often called the "sister science" to yoga - both systems seek to bring balance and awareness to our lives. But while the system of yoga seeks to unlock the mystery of our mind, Ayurveda brings about balance and healing to the physical body, our "home," and combines diet, lifestyle, with the wisdom of yoga. The system of Ayurveda seeks to cultivate balance of each individual. Because each one of us is unique and dynamic in our own way, care is given to assess and treat the whole person, not just a particular condition. Ayurveda is not a fad nor a diet; rather it is timeless wisdom connecting us to the rhythms of nature, pouring sacredness into the mundane, daring to ask the question: do you love yourself enough to create optimal health, well-being, and vitality in your lifetime? Amani sees clients throughout the week - in person, via phone or Skype! 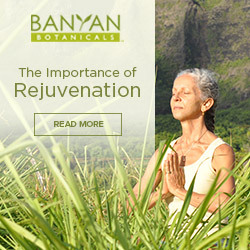 Do you need Banyan Botanicals? 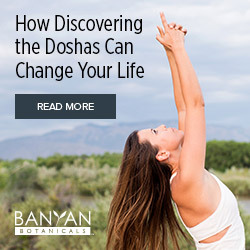 Amani loves the quality of Banyan Botanicals products and is an affiliate representative of these amazing ayurvedic items! If you have any questions about what might be most useful for you please contact Amani!